Hello! You may have noticed that we didn’t write anything after the pump – this was a strategic decision. Do you remember our credo? We don’t jump to conclusions! Now let’s take a look at what happened this week. The price of Bitcoin saw a sharp increase, surpassing all previous predictions. We have concluded that the increase on April 2 was a manipulation on several exchanges during the Asian session. Nevertheless, this allowed the price to surpass the psychological level at $5000. And so, the longest bear trend in the history of the crypto market came to an end. The price has renewed the annual high at $5335 and is consolidated at the $5000 level. EMA50 moving averages on H1 serve as a support level at $4950. On the daily chart, the Fibo level at 0.236 coincides with the $4800 level. This is the level containing multiple delayed orders, and this is also where the price was pushed by bears on multiple occasions. Naturally, everyone would like to purchase at a lower price, and bears will make many attempts to move the price down. The $4600 level is also very attractive for buying and is positioned at 0.5 Fibo which is stronger than 0.236. Do you remember our review on Monday? The daily graph showed EMA50 and EMA100 moving averages on the cusp of creating a strong signal to buy. EMA50 at $4132 and EMA100 at $4188 were located under the price, with EMA50 close to intersecting EMA100 from below. With the advent of spring, MACD shifted into the positive zone. In general, the market situation is very positive. The sudden increase in the Bitcoin price increased capitalization to $175 billion. Trading volumes on CoinMarketCap reached a historical maximum. On April 4, trading volumes reached a historical maximum at $86.62 billion. The number surpassed similar indicators from January 2018 by 42%. However, data from the analytical portal OpenMarketCap (OMC) shows different figures: $5.3 billion, which is approximately 93.6% lower than the data presented by CMC. However, aggregate capitalization is currently 4 times smaller. 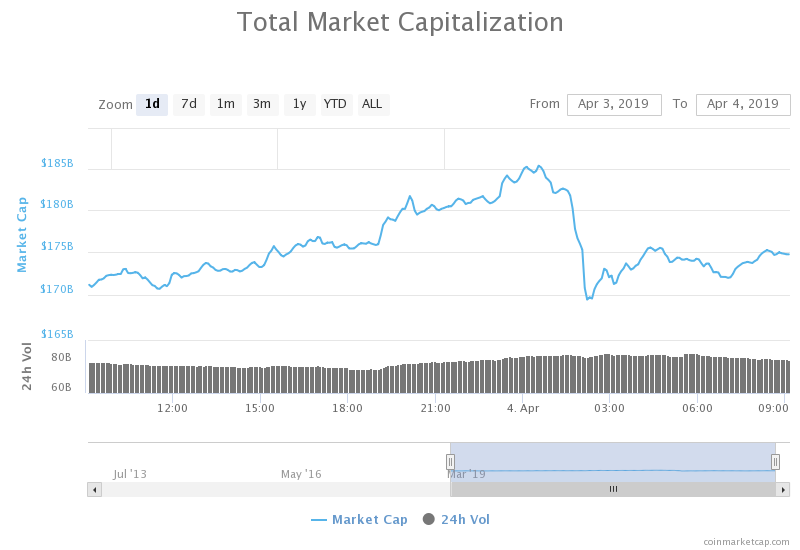 CoinMarketCap data should be treated with caution: after an analytical report on trading volume falsification released by Bitwise Asset Management, CMC came under fire. The portal later admitted that the problem of fake trading volumes was indeed relevant. 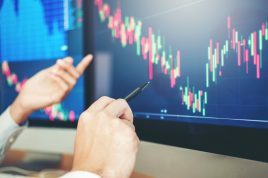 CMC vowed to start tracking traffic from crypto exchanges, balances of both hot and cold wallets, as well as liquidity indicators. Thus, users will be able to independently evaluate the ratio of trading volumes to actual liquidity, arriving at their own conclusions. It appears that the market is coming alive again. Even Dogecoin increased by 90% in just a couple of days. 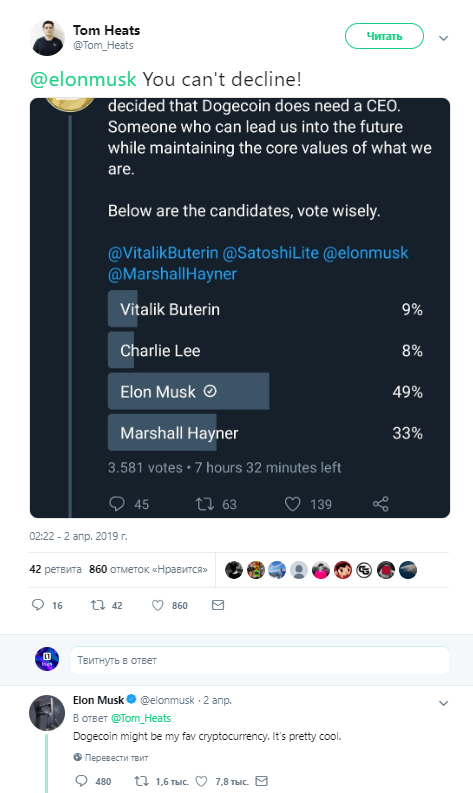 This happened after the token was listed on Huobi and Elon Musk tweeted that Dogecoin was his favorite coin, in honor of April Fool’s Day. What is the reason for Bitcoin’s growth? According to Bloomberg, the sharp increase in early April might have been caused by algorithmic trading. 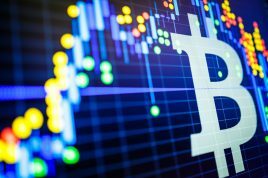 Crypto Fund Research has stated that 17 new funds focused on algorithmic trading were launched since September 2018. 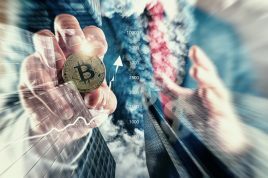 BCB Group CEO Oliver von Landsberg-Sadie believes that the increase of BTC to the $5000 mark may have been prompted by large purchases made by robots belonging to these funds. Where do we go from here? The first goals start with the annual high at $5335, followed by the $5400-5680 range, where the price will remain for some time before reaching $6000. 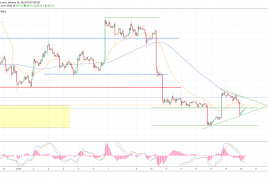 Support levels in the hourly timeframe are at $4950, $4800 on stronger timeframes (0.236 Fibo), $4600-4500 (0.5 and 0.61 Fibo). Up to the strongest level near EMA100, approaching $4200. Wishing you all high profits and a great weekend!